* This post is based on the article “Made in Ethiopia: Fashion’s next sourcing hub”. When factories producing for the likes of J Crew, Harbor Footwear Group, Calvin Klein, H&M, PVH, Aldo, Under Armour, Guess, Tommy Hilfiger and Caleres are turning their attention to Ethiopia for large scale apparel and footwear production, it’s because Ethiopia is “getting focused” about building top notch manufacturing plants, such as Industrial Parks Development Corporation (IPDC) or private ventures like the label Anbessa’s 20,000 square-metre facility. The combination of traditional handicraft skills, natural endowments (energy and raw materials dor leather), and government’s industrial policies have worked well in favor of Africa’s second most populated country. What is even more interesting to witness is the creation of a professional cluster that seeks to rise Ethiopian factories’ comparative advantage, better their negotiation skills and improve on their production capacities. 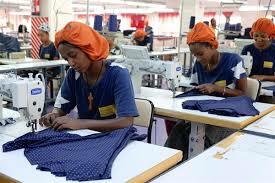 Indeed, “Made by Ethiopia is here to provide Ethiopian factories with all the critical support they need. We’re a singular interface for factories and international buyers. That means production, supply chain, sales and marketing, operations and export management too”. Coining the imitative “Made by Ethiopia” is powerful as it puts Ethiopians in the driver’s seat of their industrial revolution such that they reap the benefits not only at a financial level but also socially. Ethiopia’s level of investment and commitment in becoming an industrial nation has an all encompassing approach (capital, labor, infrastructure, policy) that (West) African nations could emulate to to build industries wherever they have a comparative advantage.